Is your idea of paradise soft white sand beaches and clear blue waters? Shallow, warm seas lapping at your feet, exotic lagoons, the breeze gently ruffling your hair? 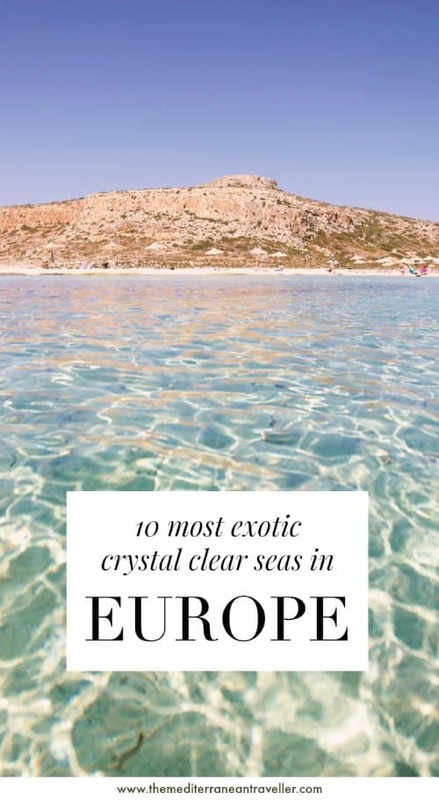 You don’t need to leave Europe to find idyllic tropical-style waters. The Mediterranean is home to some of the most crystal clear turquoise seas in the world (and yes, I have this thing for turquoise. . . ) if you know where to look. 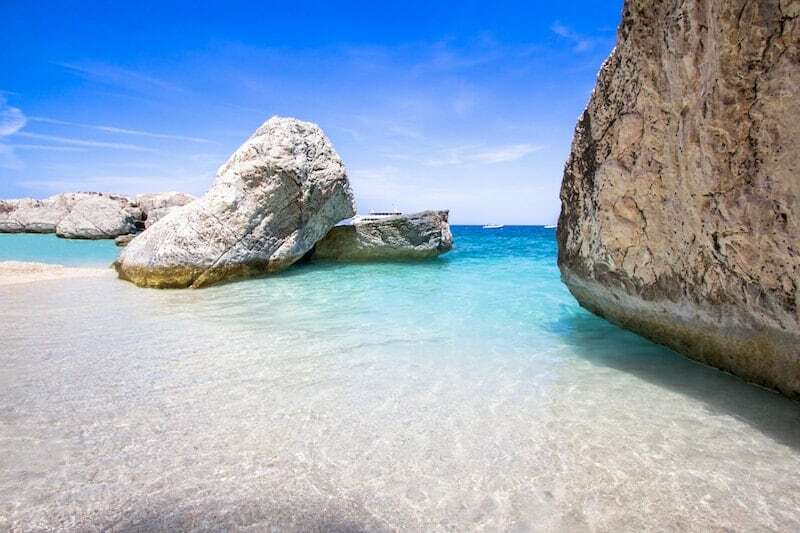 Sardinia is Queen of the Med when it comes to beautiful beaches. For soft white sands and iridescent waters head to the northern tip of Sardinia, where you’ll find the glitzy coastline of Costa Smeralda and the stunning archipelago of La Maddalena. 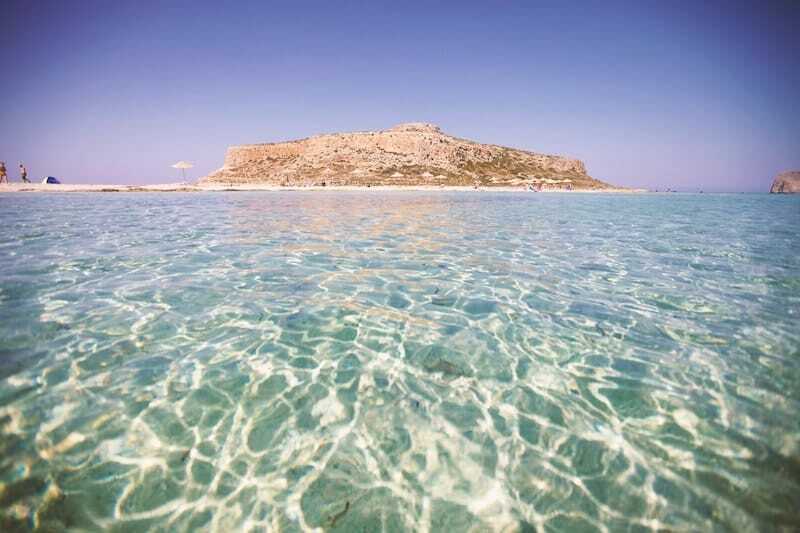 This group of over 60 islands is a protected National Park and includes the famous pink sands of Budelli. It’s best visited by boat (as there’s little in the way of development). Also worth a shoutout are the east coast beaches of Cala Goloritze, Cala Luna, and Cala Mariolu. Ok, so it’s not technically Europe, but Turkey is firmly on the European summer holiday circuit so we’ll let this one slide. Because the seas in this part of Turkey are so blue that the whole stretch of coastline is named ‘The Turquoise Coast’. 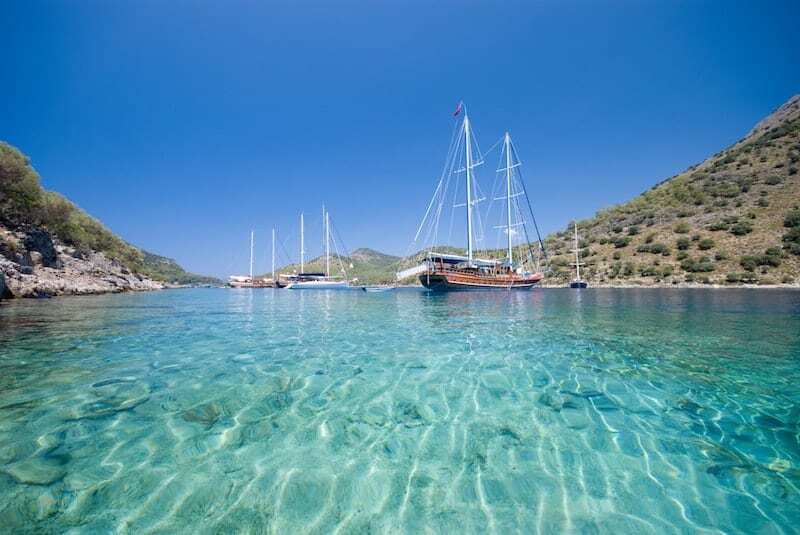 Some of the best beaches in the area are Patara, Çiralı, and the famous Ölüdeniz, but to really appreciate the clarity of the waters you need to hop on a traditional wooden boat (called a gulet) to explore to otherwise inaccessible bays. There are many well-known spots in Greece’s Aegean Sea to enjoy yellow sands and azure waters. But just under the radar are the mellow Little Cyclades: a clutch of small islands off the coast of Naxos (which itself boasts some pretty spectacular beaches). 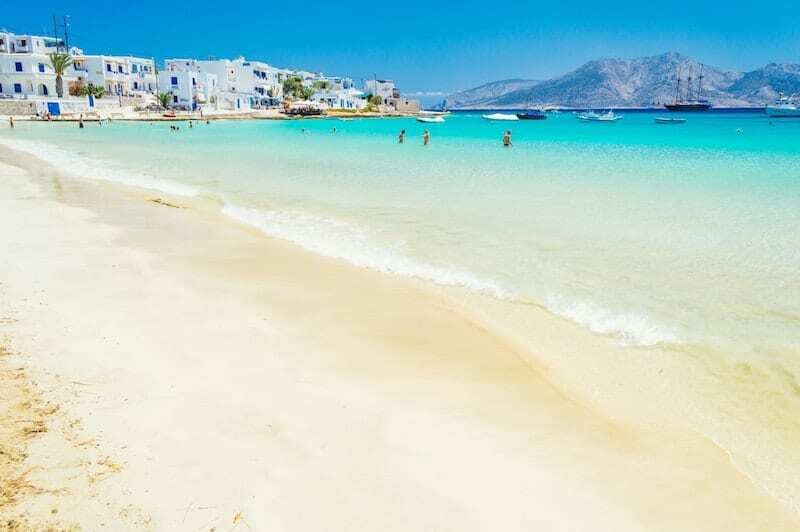 The water here is the most spectacular colour that brings to mind the Caribbean, particularly as you’ll also find some of the best sandy beaches in Greece here. Consisting of the islands Schinousa, Donousa, Iraklia, and Koufonisia, the Little Cyclades are ideal for a pint-sized island-hopping trip. Drift away with the island vibes, vibrant waters, and a healthy dose of seclusion. The up-and-coming area of Puglia in southern Italy is a beach lover’s dream. For a dose of culture with your Vitamin Sea, here you’ll find Baroque old towns and whitewashed villages kissing the ocean. 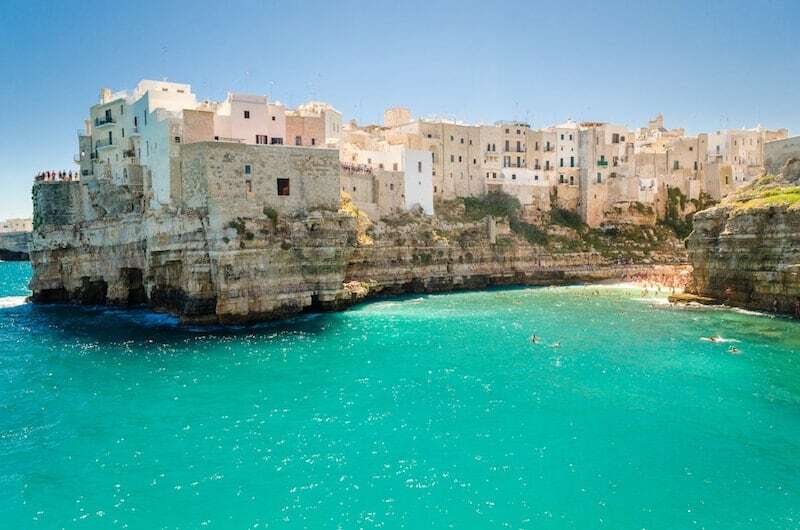 Head for the beaches around Otranto, Salento, Gallipoli, and Polignano a Mare for dramatic rocky bays, and picturesque towns, and luminescent teal seas. 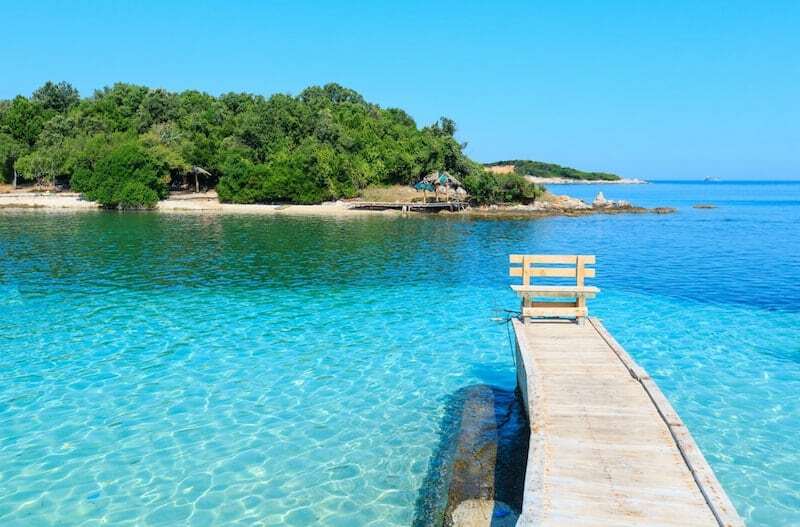 Amazing beaches are increasingly drawing more adventurous holidaymakers to the Albanian Riviera, and the crazy luminous colours of Ksamil are the jewel in its crown. Just a 30-minute ferry ride from the Greek island of Corfu and a short drive from the larger resort town of Sarandë, Ksamil consists of a village, four rocky little islands, and a whole heap of heavenly aquamarine waters. 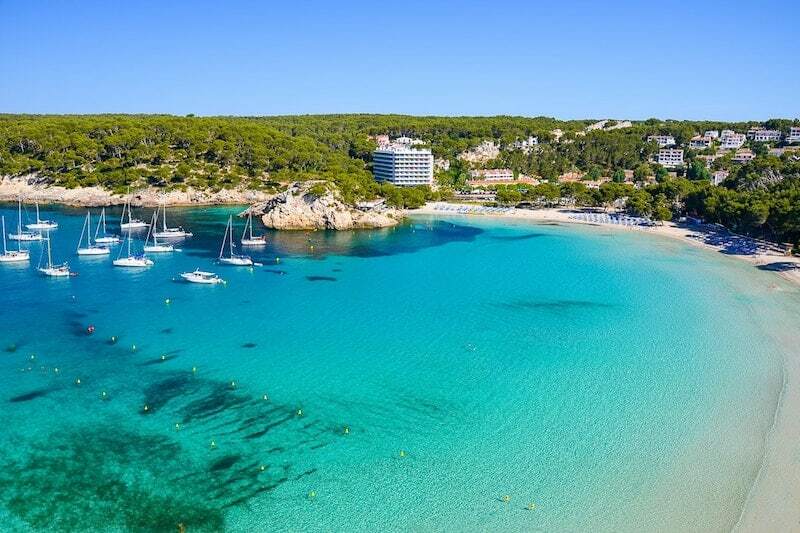 Turquoise-hunters are spoilt for choice on the Balearic island of Menorca, which is blessed with some of the finest beaches in Europe – and yet somehow remains low-key. Top spots are along the south coast of the island: Cala Turqueta (the clue is in the name), Cala Galdana, nearby Cala Mitjana, the duo of Cala Macarella and Macarelleta. The Blue Lagoon is one of the most famous swimming spots in the Mediterranean. 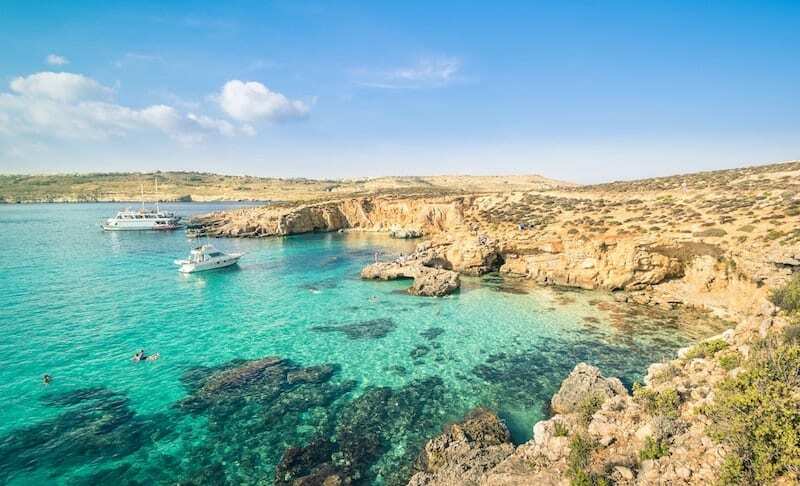 Technically on the smaller island of Comino rather than the main island of Malta, daytrippers head here by boat to dip and dive in the luminous waters and sunbathe on the rocks. A must-see if you’re in the area. 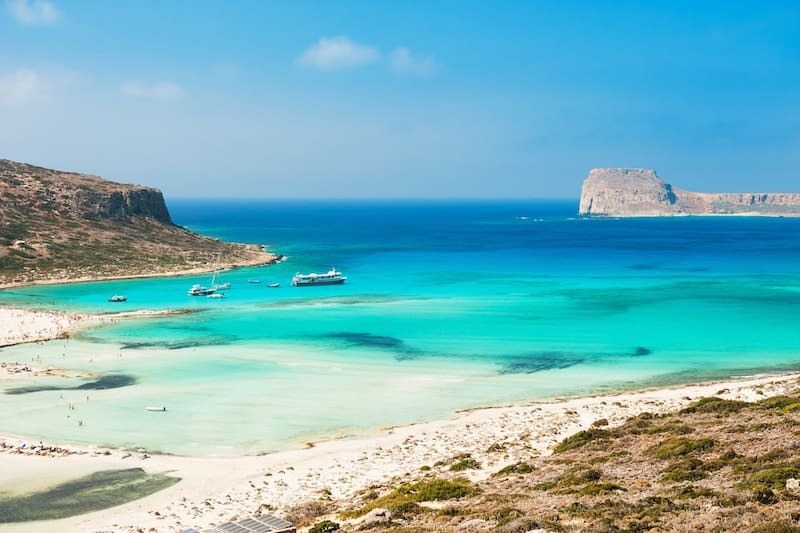 You’ll find crystal-clear exotic waters on Crete’s two most famous beaches, Elafonisi and Balos: both shallow pink-tinged lagoons and popular day trips for many visiting the west of the island. They’re certainly some of the most beautiful beachscapes you’ll find in the Mediterranean (although visit out of season to see them without the crowds). Overshadowed by its famous neighbour Ibiza, the little Balearic island of Formentera is just as pretty but has a fraction of the crowds. There’s not much accommodation on the island, which helps keep the numbers down. Ideal for those looking for the simple pleasures in life and prepared to pay a little extra for the solitude. 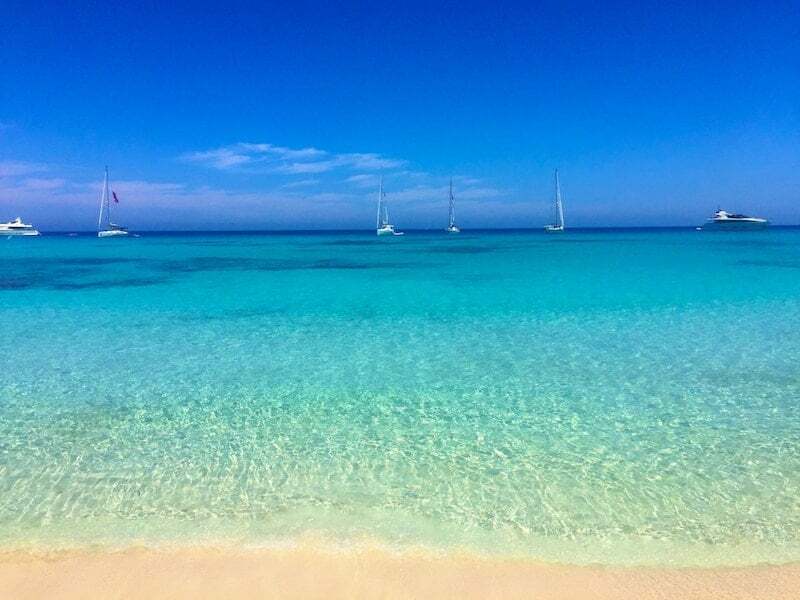 Head to Ses Illetes for dreamy lagoon-style waters. The Ionian island Paxos, not far from Corfu, is small and green and home to some of the dreamiest clear turquoise waters you’ll ever see. Along with little sister Antipaxos, it’s a popular stop with yachties. 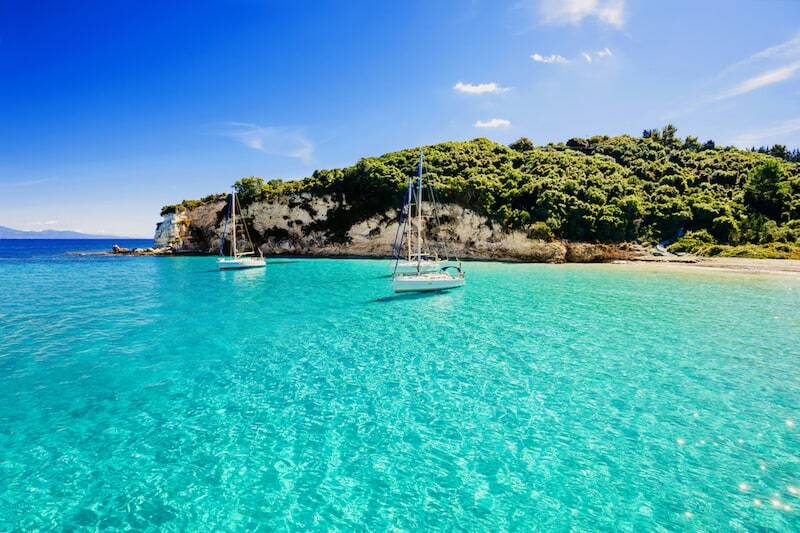 Head to Voutoumi Bay and Vrika Beach in Antipaxos for dazzling waters and a healthy dose of chill.